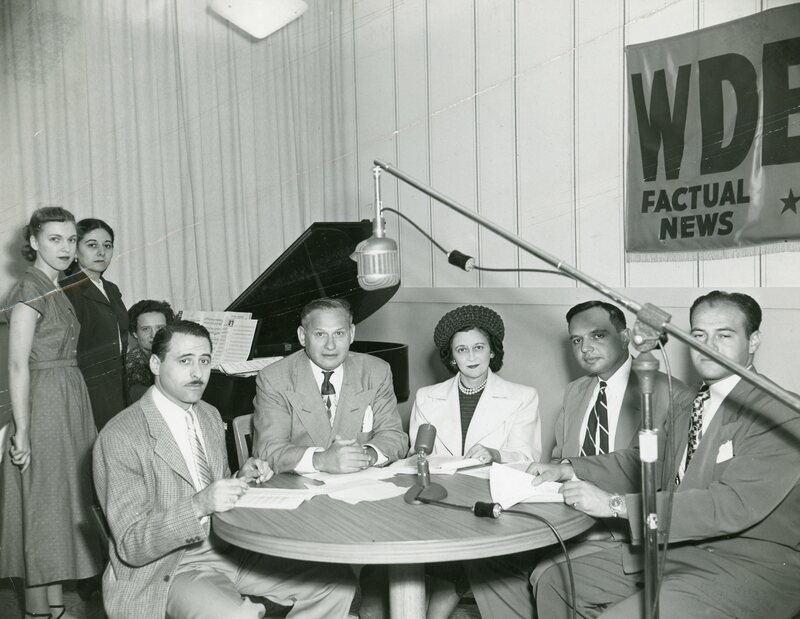 Reflecting the life and times, origins and memories of Jewish Detroit a century ago, these photographs and others from Federation’s Leonard N. Simons Jewish Community Archives will be on display on Sunday, December 8, at Adat Shalom Synagogue as part of a symposium on Jewish Immigration. The Golden Dream: The Jewish Journey from Europe to America features popular instructor Professor Howard Lupovitch, archivist and antique dealer Jan Durecki, jewishlifestory.com founder Rabbi Mark Robbins and special guest speaker from the Red Star Line Museum, historian Bram Beelaert. 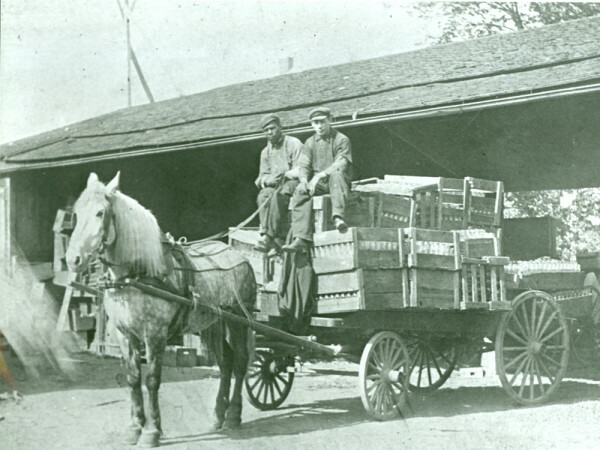 M. Jacob & Sons, the oldest and one of the largest container suppliers in the United States had humble beginnings, as shown in the photo below delivering bottles to 21 breweries in Detroit. Founder Max Jacob was a 21-year-old Lithuanian immigrant, whose prized possession was the fine horse and wagon pictured below. 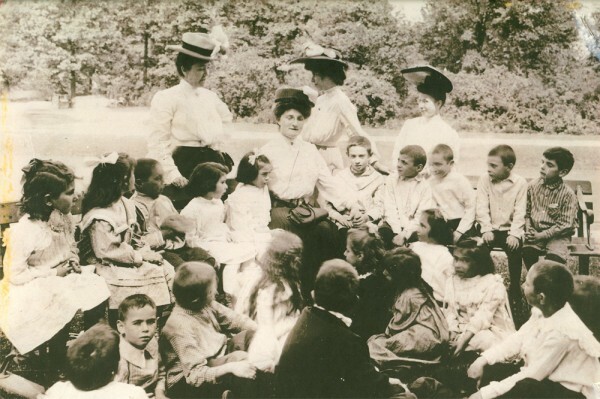 The early days of Tamarack Camps: The ladies of Detroit’s Fresh Air Society shown below, gathering their flock for an outing on Belle Isle. The Fresh Air Society on Belle Isle on a summer afternoon. Photo taken in 1905. 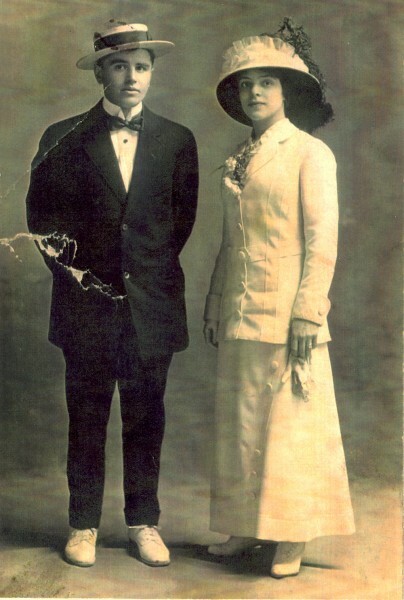 Fannie and Morris Abrams: photograph on postcard, taken May 1913. Submitted by Beverly Baker, niece, and selected from family archives for the exhibit Becoming American Women in Michigan (curated by Judith Levin Cantor and on display in the Michigan Women’s Historical Center, Lansing 1999). 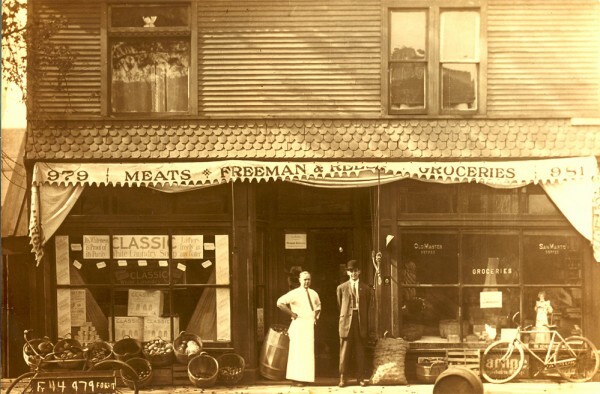 Howard T. Freeman and Thomas F. Reese Jr. stand before their enterprise: Freeman & Reese Groceries on 12th Street, Detroit. 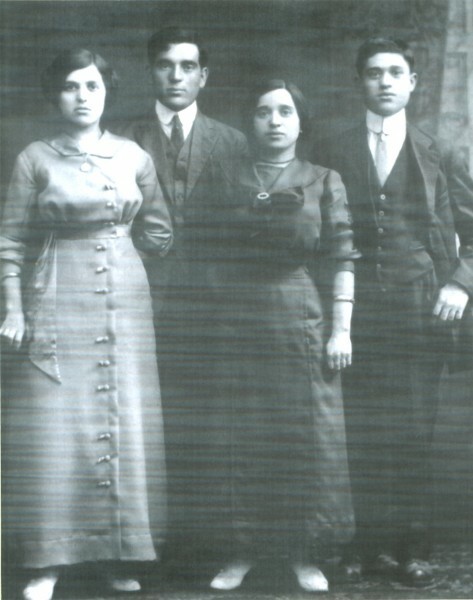 The woman on the left with four of twelve siblings who came from Lachwa, Russia, to Detroit in 1913. 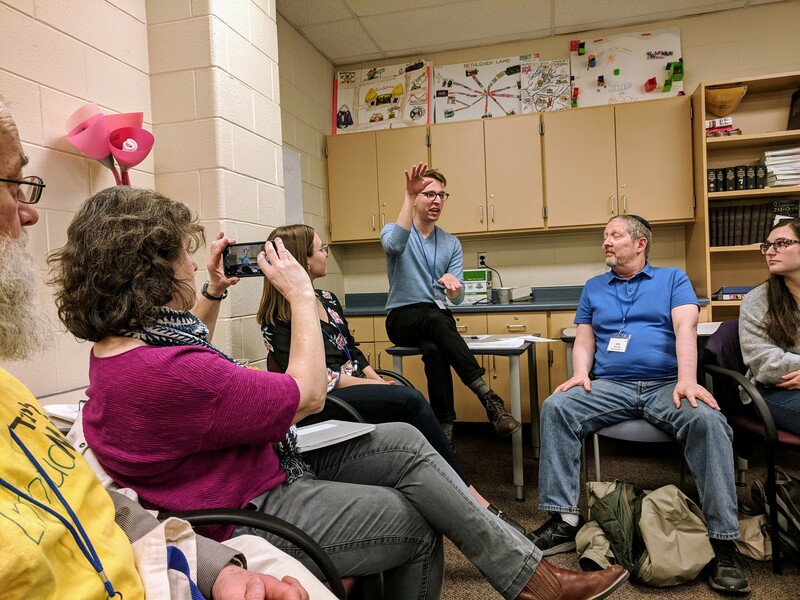 Submitted by Sarah Bolker Bell. Fannie arrived in Michigan in1914, crossed the Atlantic with two small sons, Louis and Abraham. Her husband, Joseph, had come the year before, establishing himself as a watchmaker. 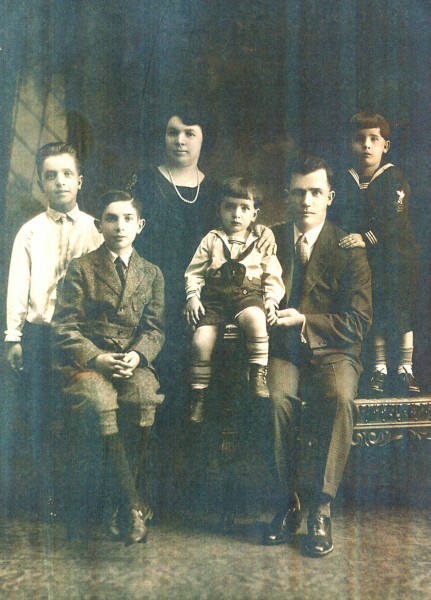 Fannie and Joseph Beresh, with sons Abraham, Louis, Morris and Meyer. Photo circa 1923. 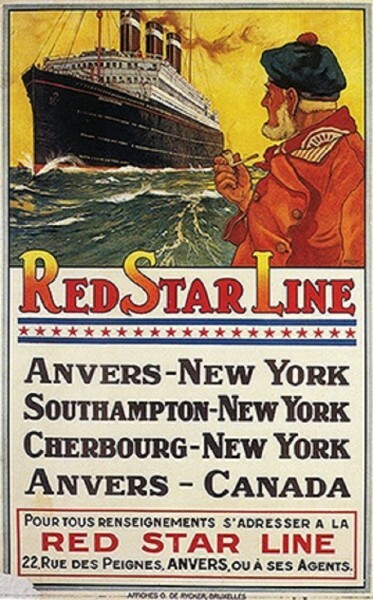 The Red Star Line was a Belgian-American shipping company which brought about two million European emigrants from Antwerp to the U.S. between 1873-1934. Jews constituted a sizable proportion of their passengers, and included Golda Meir, Irving Berlin and Albert Einstein.